Your best source for siding in Fort Collins. Home \ Your best source for siding in Fort Collins. Colorado Siding has over fifteen years of experience doing new siding jobs for homeowners in Fort Collins and all over the state of Colorado. This gives us a unique perspective on which types of siding are best for which types of buildings. If you live in Fort Collins Colorado, siding is probably a large investment that you are hoping not to have to purchase twice in the life of your home. If this is the case, you need siding that is durable enough to stand up to the Colorado climate. If you live in one of Fort Collins’ mountainous regions, or have a mountain cabin to the west of the city, then you have a special consideration to bear in mind: the danger of forest fires. You’ll want Fort Collins Colorado siding that not only stands up to Mother Nature, it is the best option in the unfortunate event of a fire. The purpose of siding is to protect a home. It can and should provide insulation, require little maintenance, and look beautiful for many years to come. In Fort Collins Colorado, siding actually has a pretty big job to do. The main types of siding currently available are vinyl siding, fiber cement siding, steel siding, and traditional wood or cedar siding. Each one has its advantages and disadvantages. There are cost differentials. Some are more “green” than others. Some are more maintenance free than others. Some are more durable than others. So how do you know which is the right siding for your home. If you live in or around Fort Collins, Colorado Siding is here to help. We can advise you on the best siding material for your needs. We can even help you choose the most gorgeous color combinations or styles of siding for your home, but most of our clients don’t need help in that area. They want to know which siding will give them the most for their money, and look fantastic on their homes for the most years possible. Our clients want low maintenance, high durability, resistance to rotting, drying, splitting, and fading. In short, they want the perfect siding for their homes. Is that what you want? If you live in or around Fort Collins, Colorado Siding would love to earn your business. Feel free to call us any time with your siding questions or concerns. 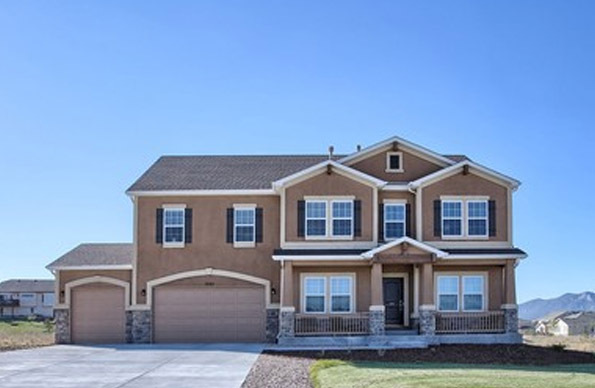 We are happy to answer any questions, come out to the house, show you our stunning line of top-quality siding products, and offer a competitive bid for your Fort Collins Colorado siding project. Please call Colorado Siding today. With over fifteen years in the industry, we are your Colorado siding experts.